Git Overview keeps track of your Git repositories. Git revolutionized version control. Git repositories exist almost everywhere on the hard disk. This sometimes makes it difficult to keep track of all the repositories scattered across your hard disk. With Git Overview you can now watch all your repositories. The icon in the menu bar informs you whether one of the repositories contains an open change. The Git Overview menu shows the status of all added repositories. You can quickly see which repositories have pending changes or need to be uploaded to the remote page. Clicking on any of the items in the menu will open a terminal session in the chosen repository and get you started. Git Overview also offer you the option "Ask On Close". If "Ask OnClose" is enabled, Git Overview will note before exiting if one of the repositories has any open changes. The message prevents you from shutting down your Mac and gives you the opportunity to edit the open changes. To keep track of your repositories, Git Overview can be conveniently started at login. No symbol at all: Repository is up to date. +: Some tracked files are changed or new files are added. ↓: Repository is behind of the tracking branch, pull to get in sync. ↑: Repository is ahead of the tracking branch, push to get in sync. Items with italic font are not a git repositories (anymore or never have been). Yes! There is a special trail version to help you decide whether Mirror Display Control does what you need. I need troubleshooting or have an enhancement request, what to do? Great, I'm always interested in feedback. In Mirror Display Control use the Feedback / Issue reporting item under Help or supply your request here. I try to get back to you as soon as possible. If you like to try before you buy, you can download a trail version below. The limitation of this version is, that it stops working after a random short amount of time. Mac OS X application to present PDF slides in a smart way. 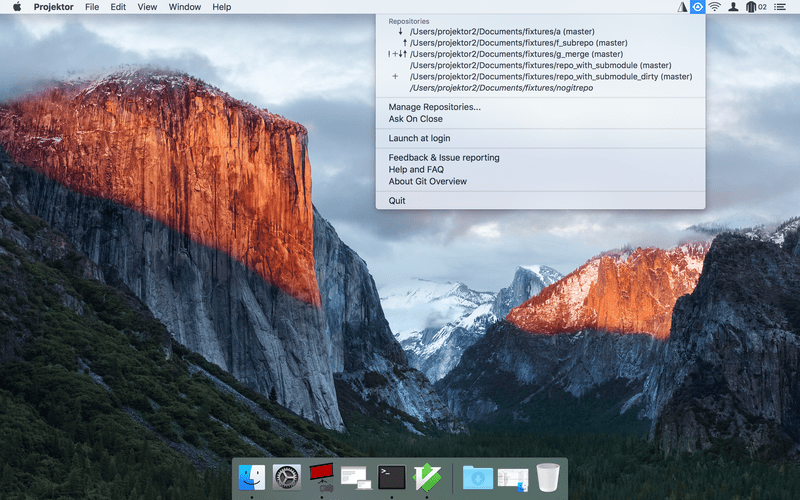 Mac OS X application which duplicates a window full screen on a second display. TinyDateTime a status bar application which shows the current day and time. 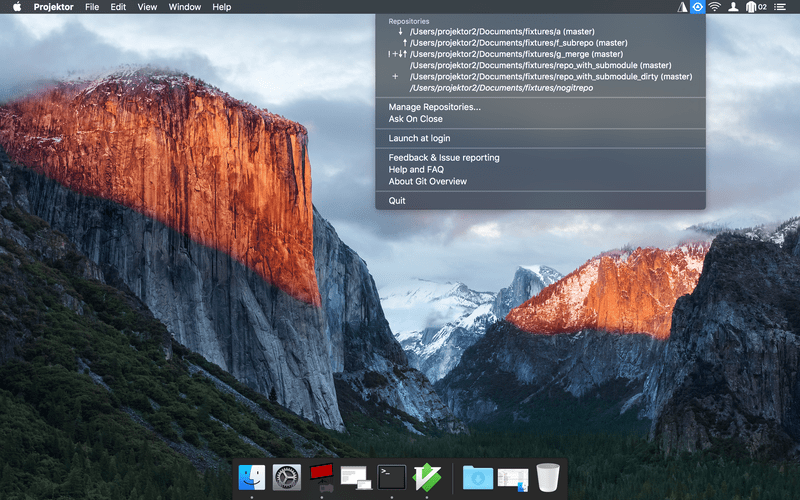 A comprehensive battery overview for macOS. Take a break for your health.